The Mercedes-Benz G63 rental Philadelphia is an esteemed luxury SUV rental, designed at the request of the Shah of Iran. The G63 Mercedes rental has served as the official transportation vehicle for the Pope, and is utilized in the military by most major countries. It can also be yours, with a Mercedes G63 rental Philadelphia! The G63 Mercedes rental Philadelphia is arriving in its 29th year of production, and is still the favorite over the newer GL-Class SUVs, an impressive feat. This Mercedes rental is a versatile luxury SUV rental Philadelphia, suitable for any event or occasion, and ideal for exploring any new location in style. This luxury rental SUV Philadelphia boasts full body-on-frame construction, three differential locks and heavy-duty plating on the underside for additional protection. Under the hood lurks a 5.5-liter V8 engine pushing out 563 horsepower with a 7-speed automatic transmission with Touch Shift manual-style shifting. 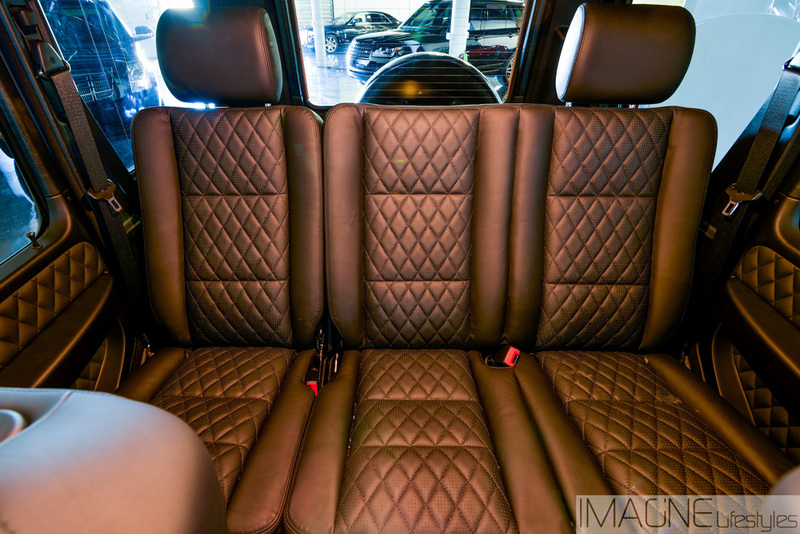 On the inside, the Mercedes-Benz G63 rental Philadelphia integrates modern technology upgrades including DVD-based COMAND navigation, Harman/Kardon audio system, multi-contour driver’s seat with pneumatic bolsters and extensive premium leather trim. 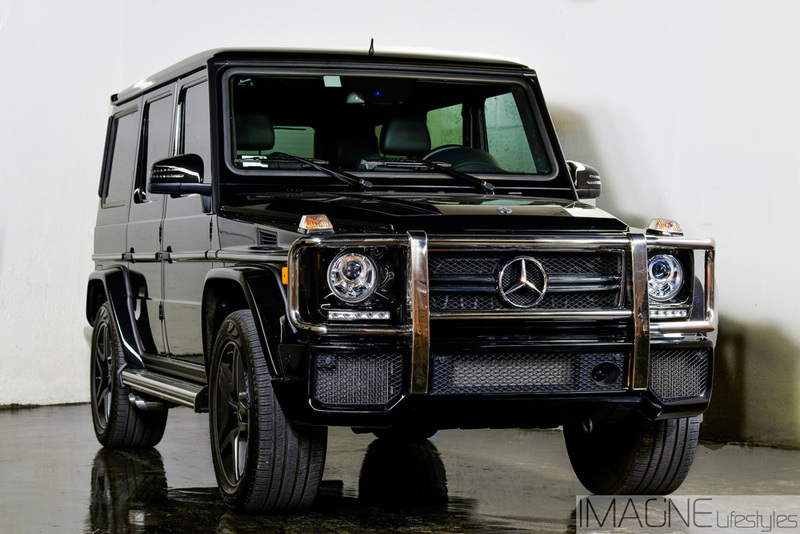 If you do not exactly have $120k to throw down for your own, you can always indulge in the Mercedes-Benz G63 rental Philadelphia from Imagine Lifestyles today! Take advantage of a Mercedes G63 rental next time you are in Philadelphia. Do not forget that we have luxury SUV rentals available in Miami, FL or New York, NY with a free quote!